Say a friend, family member or business partner lives in The Netherlands and you want to give him or her a present. 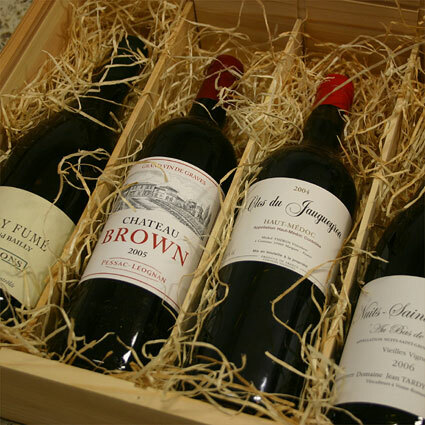 Why not send a case of fine wine? Bolomey Wijnimport Amsterdam can help you do that. Select the wines. You can do that yourself by browsing this site, or let us know over the phone, per e-mail or chat. 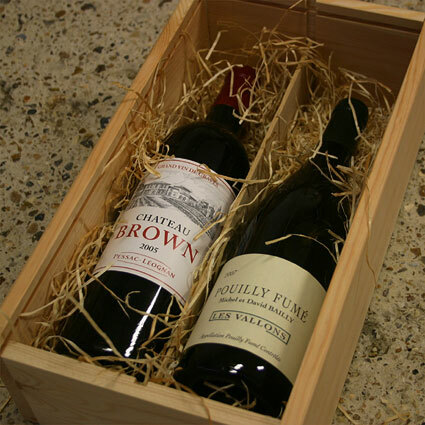 Choose whether you would like the wine to be shipped in a wooden gift case (see example pictures below). Shipping costs within The Netherlands are € 7,50 per package. For orders above € 175,00 there are no shipping costs. Submit order details to Bolomey Wijnimport, preferably by e-mail (billing & shipping address including phone numbers). 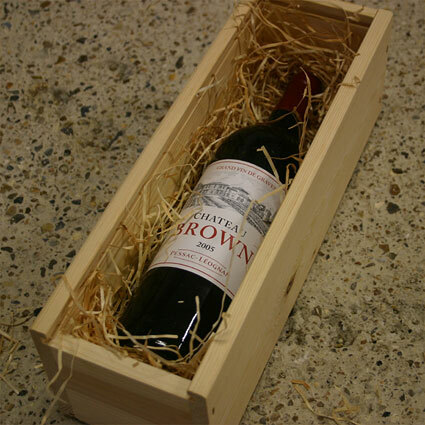 If you want you can add a gift message to the bottles (as part of the order details), no extra costs are involved here. Make a credit card payment using our secure online payment platform Multisafepay. 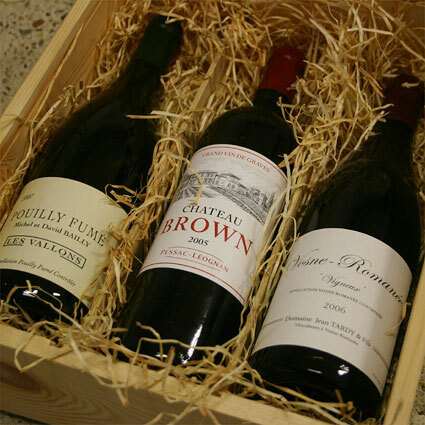 The wines will be dispatched soon thereafter (i.e. same or next business day). I was running out of ideas for gifts to send to my family in Holland. I know they love wine but I couldn't send it from the US. After contacting many wine merchants in Holland who could not help me, I finally came across Bolomey Wijnimport. I called to find out if they would send wine for me and let me pay by credit card from the States. I was happily shocked when David Bolomey said 'no problem'. David has been fantastic. He is willing to help you select your wines. When quoting prices, all prices and charges are included. There are not hidden costs. All purchases have been sent on time and received in perfect order. Thank you David for running a great business. I'll definitely be using you again. Janet B, Chicago, USA.